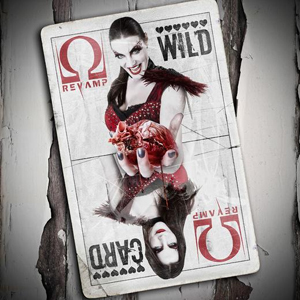 REVAMP [Floor Jansen/ NIGHTWISH] - WILD CARD LTD. EDIT. (DIGI) | Online Shop | Wizard LTD. Album: "WILD CARD LTD. EDIT. (DIGI)"
- NUCLEAR BLAST SPRING 2018 CAMPAIGN! ВРЕМЕННО НАМАЛЕНИЕ!! СЛЕД ИЗЧЕРПВАНЕ НА ОПРЕДЕЛЕНИТЕ КОЛИЧЕСТВА ЦЕНАТА СЕ ВРЪЩА НА СТАРОТО НИВО! Founded by Floor in 2009 after the disbandment of symphonic metal combo AFTER FOREVER, in whose service she had delivered peak performances as a front woman for more than a decade, REVAMP revealed their self-titled debut to the metal world in 2010 – a highly explosive blend of bombast, complexity, energy and catchiness that impressed with a never before heard multi faceted elements in Floor’s voice. Enchanted press reactions and an amazing rank 41 in the Dutch album charts sealed what all fans had been praying for: REVAMP weren’t a passing fad – another album would follow! Brace yourselves for one hell of a ride – ‘cause REVAMP has more than one ace in the hole!